KLS Symposium, World Sleep Medicine Conf. The Kleine Levin Syndrome (KLS) T-Shirts are an easy and fun way to spread awareness and remember those who are suffering from KLS. 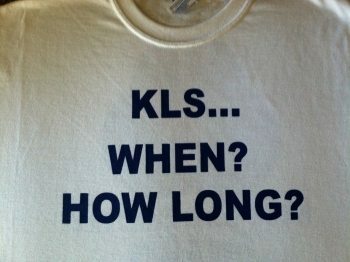 KLS T-Shirts are only $22.50 and can be purchased via eBay by following the link below. 100% of the net proceeds go towards KLS research.